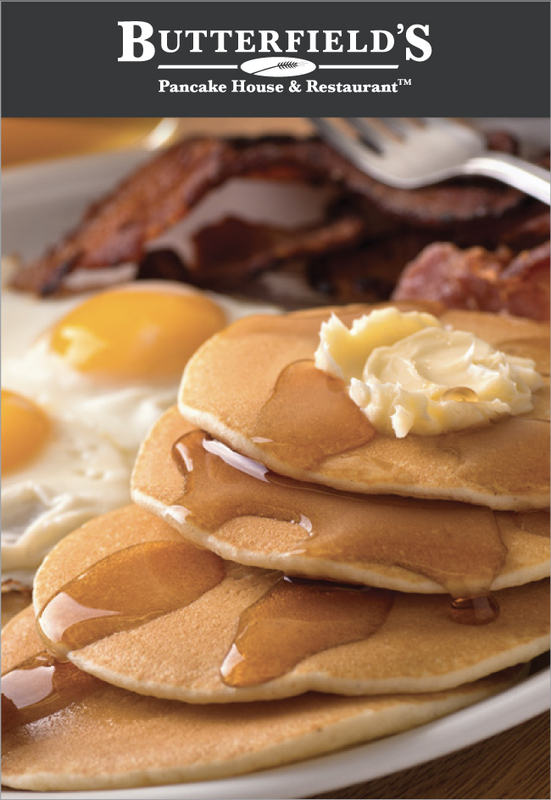 Butterfield’s Pancake House & Restaurant specializes in breakfast and lunch, serving only top quality food made with fresh produce, meats, vegetables, and fruit. We’re famous for our freshly squeezed orange and grapefruit juices. Our restaurants offer great service in a friendly, comfortable, and contemporary atmosphere. We have a healthy, yet appetizing menu that includes special children’s meals and heart-healthy selections that are low in calories and high in nutrition. Butterfield’s was founded by a dedicated group of family and friends in 2000, known as “The Monday’s Group.” We’ve operated in the hospitality industry for over 45 years, currently operating seven business locations predominantly in the Chicagoland area. We welcome you to Butterfield’s and assure you, our guests, that you will find our edge in quality, and service to brighten your day — no matter what the hour! Please see our Catering page for more information, and be sure to call your nearest Butterfield’s location if you have any questions about our catering service.